Team Sky has taken the professional cycling world by storm over the past seven seasons, often standing atop the podium of the most prestigious races. Teaming up with Team Sky for 2017, Castelli is proudly supplying their kit with a distinctive design drawing from both British and Italian influences. 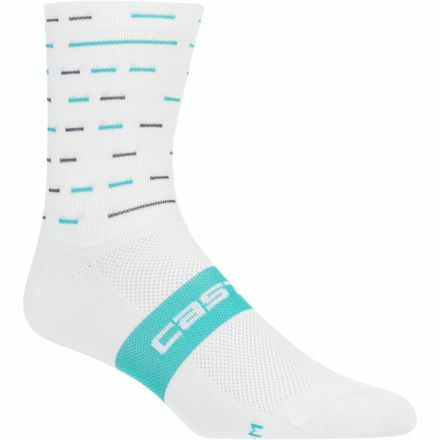 Pick up the Castelli Team Sky Rosso Corsa 10 Sock for the same iconic aesthetic worn by the pros on the peloton. This cool-wearing sock is comprised of Meryl Skinlife, which is one of most intelligent polyamide yarns on the market. Embedded silver particles eliminate odor-causing microbes from taking residency when you're sweating profusely on the road. Diaphanous mesh surrounds the foot for active ventilation with every pedal stroke forward. 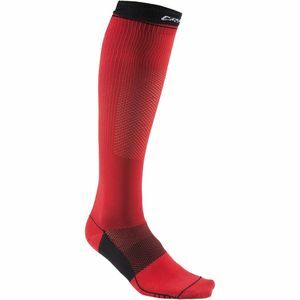 There's a midfoot support strap for a steadfast fit inside your cycling shoes, as well as a compression cuff for just the right amount of stabilizing support.